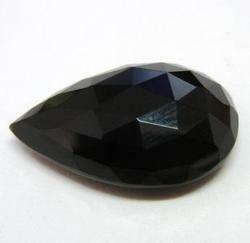 Black agate fancy are available and can also be done as per need. Being a factory we are open to do small or big orders. To look more of our products visit us. 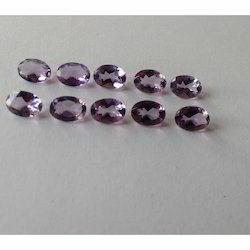 We are one of the leading manufacturers and suppliers of Semi Precious Cut Stones . Our Gemstones are acclaimed for their high quality, reliability and fine finish. These can be availed at very affordable rates. We always ready to cut customize designs as per your requirement. Fancy Cut White Agate are available and can also be done as per need. Being a factory we are open to do small or big orders. To look more of our products visit us. We offer Citrine (Rec. Cut Stone). Yellow coloured Ctrine stone in cut but drilled shape. This pendulum stimulates the 7th Crown Chakra which makes it excellent for use in meditation. This stone of spirituality lets you achieve awareness, peace of mind, stability and serenity. We are offering an enchanting range of smoky gemstone that is highly appreciated for flawless polish and meticulous cuts. Our marvelous checker cut smoky gemstone is available in varied sizes and shapes. They are widely used to adorn the jewelry with their long lasting sheen and attractive colors. We are counted among the major topaz smoky gemstone suppliers, based in India. We are engaged in processing and exporting Blue Topaz with exquisite cuts and excellent finish. Available in different shapes and sizes, our range of topaz is known for its fine polishing. Blue topaz is also known as Swiss Blue Topaz and is offered in different shades like sky blue, Swiss blue and London blue. Being one of the largest companies, we offer a wide range of Blue Topaz all across the world. These stones are widely demanded by our clients because of the quality we offer. The stones are available in multiple sizes and patterns as per the requirement of our clients. Fine finishing and smooth cutting is done on these products. Edge cut stones are presented by us with intricate designs, which are much superior in quality. These stones are crafted with magnificent techniques and are optimistic in the view of every customer. Edge cut stones are designed to the perfect quality contentment which is designated over various jewellery sets. These stones can be worn in various parties for delightfulness. Oval Gray Moonstone Briolette Checker 12x8mm.